Any trip to Mexico City should include a visit to Xochimilco to view its canals. The origin of this region goes back five centuries, when it was the agricultural center of Tenochtitlan. The meaning of Xochimilco is ‘Field of Flowers’. The best time to visit this area in Mexico is over a weekend, but make sure that you are prepared with sunblock and comfortable clothing to find your way around the typical Xochimilco boat. You will find a range of vendors traveling along in smaller canoes, offering drink and food, music and souvenirs. It is possible for you to hire a floating band, which will allow you the opportunity to obtain the full experience, whilst singing along with them on your way up and down the canals. Xochimilco became known as a tourist attraction during the 1920s when the Europeans described it as the ‘Venice of Mexico’. The area was declared a Cultural Heritage Site during 1987. Not only is it a unique experience to travel along the canals, but the vendors on the shore along the canals makes it an interesting experience. 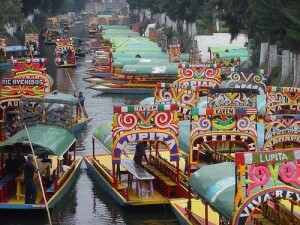 The boats that take you on the canals normally offer visitors drinks, which are paid for at the end of your ride.Once you have enjoyed this unique experience, you can visit the markets in downtown Xochimilco where you will find a range of different types of restaurants. To ensure that you have an enjoyable trip to the canals of Xochimilco, you should obtain Mexican car insurance prior to leaving home. To obtain it, you may want to speak to your current car insurance provider to determine if they sell this type of insurance. If they do not, you can do an online search for a Mexican auto insurance policy and you will be presented with a range of providers. 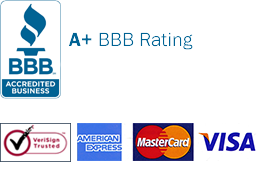 It is vital that you know exactly what you are looking for and compare the providers that fulfill your requirements. Your current car insurance will not cover you fully while you are in Mexico. It is also a legal requirement to have Mexican car insurance if you intend using the roads in the country. You should consider obtaining some of the add-ons, such as legal, bail bond and medical assistance. In Mexico, unlike the US, you are not considered innocent until proven guilty. Your innocence has to be proven and you have to provide proof of car insurance before the police authorities will allow you to go about your normal business. This may result in you being locked in a cell for a while, but if you opt for legal and bail bond assistance, you will have the option of an attorney’s services. You can choose either liability only or full cover when you purchase your policy. The value of your vehicle and your budget will determine which option you choose. Once you have made payment for your policy, you should print a copy and keep it with you at times as you may be asked for it if stopped by the traffic authorities. You can purchase your Mexican auto insurance policy from this URL. Whilst you are in Xochimilco and have enjoyed a canal trip, you may want to visit the ancient buildings in the area. There are several old chapels you can visit. What kind of vehicle does Mexican Insurance Store cover? My family has several cars and we want to use them once we get in Mexico. Please provide us a quote so we can learn how much your insurance costs. My Mexican insurance policy has not yet started. I inquired about this and was advice to cancel it online after logging into my account. According to the sales representative, the whole policy premium was refundable. I decided to do this because I was no longer travelling to Mexico. There are a variety of Mexican insurance policies available in this website. You can buy from here. Once you’ve got the plan you want and the coverage you need, buying online becomes easy. When traveling as a family, it is more affordable to travel by road to Mexico. In addition to maximum exposure to the beauty along the road, you get to experience maximum interaction with locals. Just make sure that your vehicle is properly serviced and you have adequate Mexican insurance cover. Google search for the top Mexico destinations that can give you best discount rates. You can save more while at the same time enjoying a great family reunion. Planning your vacation ahead of time is required. Always include reviewing your Mexican insurance so you’re prepared once you drive to Mexico. Avoid traveling on conventional roads during flash flooding in Mexico, as this brings your vehicle into risks that may not be covered by your Mexico insurance. Unfortunately, a car accident without Mexican insurance is enough to legally put you in jail. 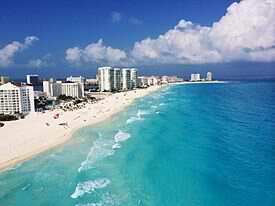 Summer is the best time to go to Mexico. But prior to driving to Mexico, it’s advisable to know about Mexico’s weather, holidays and festivals.